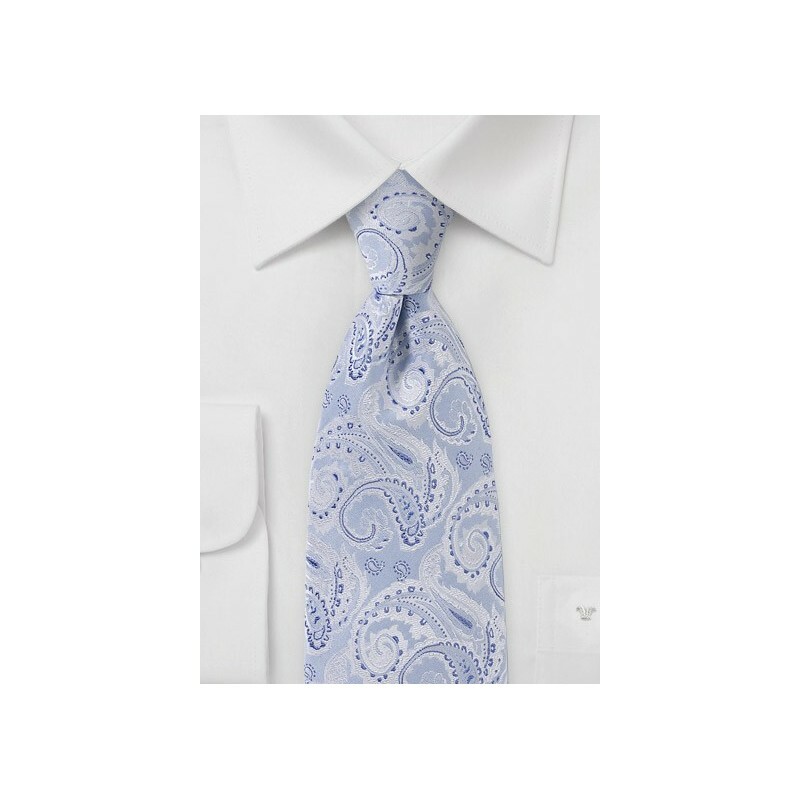 Look exquisitely elegant by stylizing your suits and sports coats with this ornately designed and crafted paisley patterned necktie in a sensational color way of light blues and pristine silvers. The elaborate paisley motif is handwoven into the accessory add to the divine look an feel of the designer necktie from Chevalier's newest Menswear Collection. 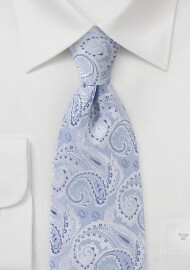 This tie shines brightly when teamed up with a light grey tailored suit. Made from one hundred percent premium silk.